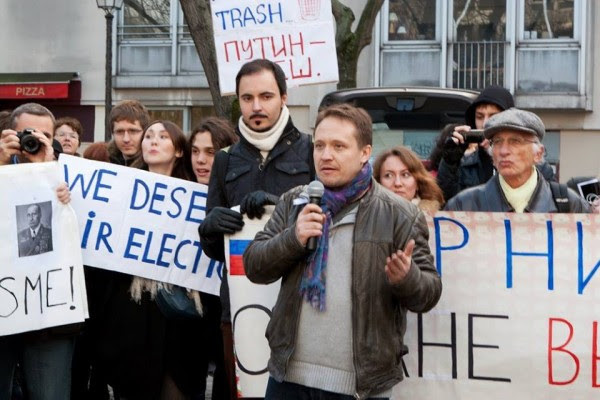 Four international human rights organisations in France and UK-based Fair Trials International have issued public appeals against French-Russian anti-Putin human rights activist Nikolai Koblyakov being extradited from Bulgaria to Russia to face criminal charges. Koblyakov was arrested in late July at Sofia Airport on the basis of an Interpol arrest warrant at the request of Russia, which alleges that he was involved in large-scale property fraud in France during 2004 and 2005. In early August, Sofia City Court released Koblyakov from custody, saying that there were insufficient grounds to keep him in detention, but later amended this ruling to order him into house arrest. In a September 9 ruling, the Sofia Appeal Court said that there was no reason to believe that Koblyakov would abscond. Koblyakov is next due in court in Sofia on October 21. The court set this date, postponed from a September 10 hearing, because Bulgarian authorities had requested further information from Russia. At the beginning of September, Koblyakov lodged a formal request to Bulgaria for political asylum. On October 16, the presidents of four French NGOs – Amnesty International France, ACAT, Russie-Libertés and Ligue des Droits de l’Homme – wrote an open letter to French foreign minister Laurent Fabius to oppose the extradition of Koblyakov from Bulgaria to Russia. The letter was also published by the Libération daily newspaper and other media in France. “Because it cannot be guaranteed that in Russia he will be treated in conformity with the European Convention on Human Rights, and France has the obligation to protect its citizens pursuant to the United Nations Convention Against Torture, we ask you, along with 23 000 persons that have signed a petition of support, to stop his extradition by all diplomatic means possible,” the four French human rights organisations said in the letter. London-based Fair Trials International wrote to Bulgarian caretaker Deputy Prime Minister and Justice Minister Hristo Ivanov in support of Koblyakov and asking for immediate reaction to defend him from extradition to Russia. The letter was signed by Fair Trials International chief executive Jago Russell who expressed concerns that extradition would violate Koblyakov’s basic rights. Russell said that Russia has been subject to serious criticism over prison conditions which are incompatible with the right of freedom from torture and inhumane or degrading treatment protected by the European Convention of Human Rights. “In Mr Koblyakov’s case, there is overwhelming evidence to believe that he would be at real risk of serious violations of his basic rights protected by Article 3 of the Convention. In accordance with international law, this requires Bulgaria to refuse to extradite him to Russia,” Russell said. No criminal charges have been brought against Koblyakov in France, and when a Russian company later challenged the events before a civil court in Paris, the company’s claims were rejected. An online petition addressed to Bulgarian President Rossen Plevneliev against Koblyakov being extradited to Russia has attracted 23 000 signatures.